Federal Judge Claudio Bonadio requests former president be arrested and held in custody; De Vido and Baratta also accused of being involved in graft ring centred on fraudulent importation of liquified natural gas. Former president Cristina Fernández de Kirchner was charged in yet another corruption investigation on Monday, in this case over the fraudulent importation of liquid gas. Federal Judge Claudio Bonadio, who is leading a host of probes against the former president, requested that Fernández de Kirchner be arrested and remanded in custody for alleged malpractice in the purchase of liquefied natural gas (LNG). However, Fernández de Kirchner has partial immunity as a senator that shields her from imprisonment. For her part, the former president accuses Bonadio of being part of a campaign of judicial and "political persecution" against her. Among the 10 cases brought against the former president, now a senator for Buenos Aires province, the most notable is the 'cuadernos' corruption notebooks scandal, in which she is accused of leading a criminal association and receiving tens of millions of dollars in bribes. In that case, the prosecution claims that a total of US$160 million in bribes was handed over between 2005 and 2015, mostly by a host of businessmen. On Monday, Bonadio also charged disgraced ex-Planning minister Julio De Vido and the former government official Roberto Baratta, and requested that an existing freeze on Fernández de Kirchner's assets – in place as part of the 'cuadernos' probe – be extended to the value of one billion pesos, as the two cases were related. Bonadio accused the former president of engaging in "passive bribery, or fraud against the public administration." In the ruling, Bonadio said that between 2008 and 2015 "the accused put into operation, and sustained over time, an illegal system designed to import LNG through different international companies that were engaged without a bidding process." The firms involved were "invoiced at prices with unjustified variations, components that affected the price finally paid [and] that caused economic damage to the coffers of the state," Bonadio said, detailing allegations that overpricing led to money being siphoned off into illegal avenues. The investigation first began in 2014, probing the business of state firms YPF and Enarsa. Among the others cited in the probe and former directors of both firms, former Enarsa head Walter Fagyas; former energy secretary Daniel Cameron and businessman Roberto Dromi (a former minister under Carlos Menem). Fernández de Kirchner, who served successive terms from 2007 to 2015, hopes to stand in October's presidential elections and is the closest rival to President Mauricio Macri, according to the polls. She is currently in Cuba, where her daughter Florencia is receiving hospital treatment. 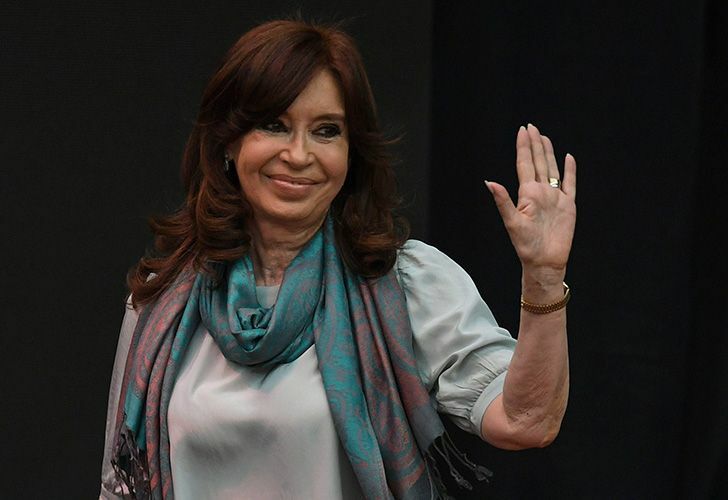 As one of the 10 cases against her, Fernández de Kirchner will face trial for corruption in May in a case in which she is accused of having favoured businessman Lazaro Baez in the attribution of 52 public works contracts worth 46 billion pesos (US$1.2 billion) during her presidency. Baez's BTP company secured large contracts in Santa Cruz province, where ex-president Néstor Kirchner – Fernández de Kirchner's late husband – served as governor for more than a decade.